Jump Gig (Johnson, Driml, Carhart) Played The Viper Room. Rocked The Troubadour. Jammed at The Roxy and a hundred more. Gigs come easy to us. We never make a call. We don’t need no contacts and we don’t do it small • Protect yourself. Keep your eyes peeled. While you’re taking selfies, we’ll be there to steal. Don’t be oh-so-flakey. Don’t go see the sights. Jump gig! I’m playing here tonight! • Madison Square, The Collusseum heard us play but came out to see ‘em. We may not be on the bill. We may not be your friends. Your tickets lied to you. You’ll dig us in the end • Protect yourself. Keep your eyes peeled. While you’re taking selfies, we’ll be there to steal. Don’t be oh-so-flakey. Don’t go see the sights. 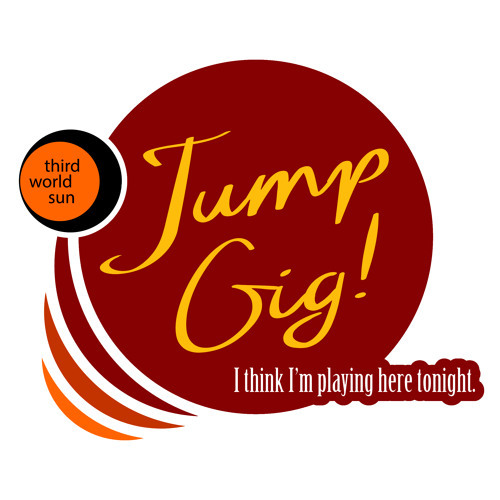 Jump gig! We’re playing here tonight! © Third World Sun. All rights reserved, all media. This song will probably fake you out.